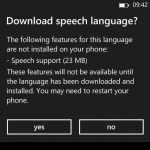 If you’ve newly purchased a Lumia Windows Phone device, you’d have noticed that when you Long Tap the Windows Logo key, you see a message saying “Speech is off until your new language pack is installed“. This message appears up because the required language pack for the speech service to recognize and read out the content (such as messages) is not yet installed. 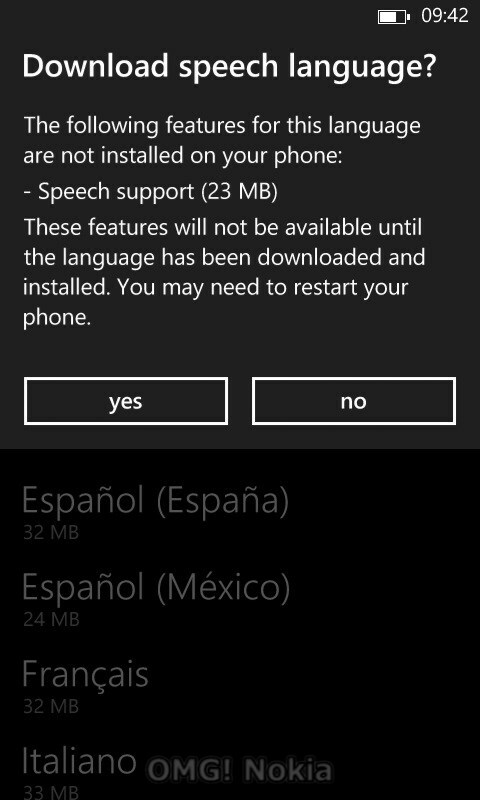 The language pack would usually install by itself if you were connected to the internet while setting up your newly purchased Lumia phone. If for any reason it wasn’t installed, you need to follow the following steps and upon installation of the language pack, the speech service will start running properly. 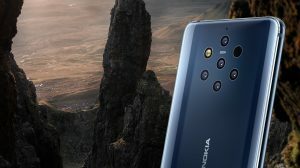 Tap on the Windows capacitive button to reach start. Now swipe from the right to access your list of apps. 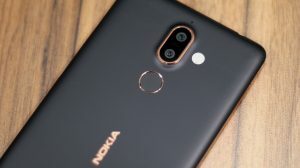 Once here, tap on settings and scroll down to find Speech (Alternatively you can also long tap the Windows key and when it shows the error, tap on settings. 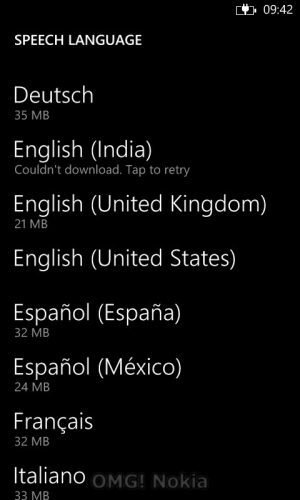 Now tap on Speech Language to display the list of languages that are installed or else can be installed. Choose your preferred speech language that you want to install and tap on it. A new pop-up will appear. This window will provide details about the speech language pack and its size. Tap on Yes to begin downloading. 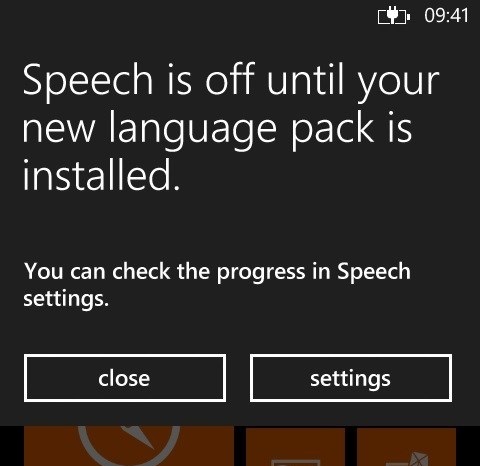 Once the pack is installed, restart you phone to make sure that speech service runs properly. That’s it. 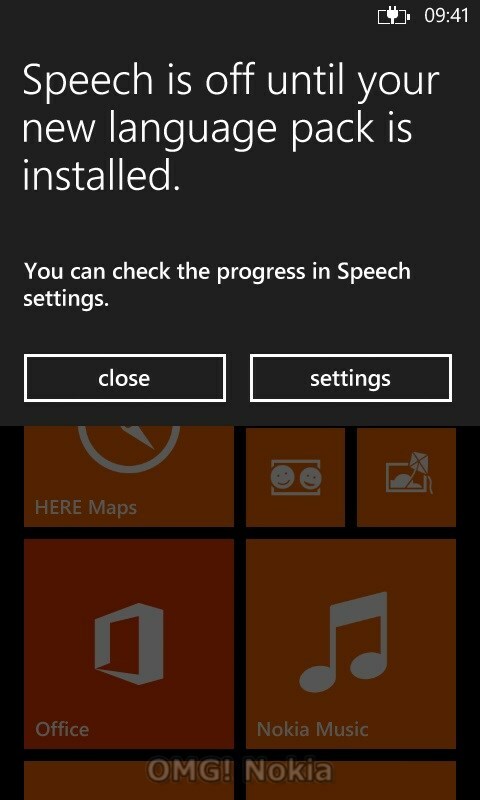 The next time you’ll long tap the Windows button, you’ll be able to access the Speech service. How can u download German language…. Do you have any solution for this problem. 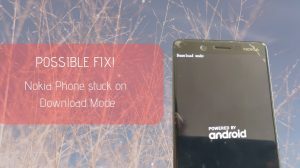 I am trying to install that problem since last 7 days and it is giving me same error. Tried on multiple WIFI networks, cellular network but failed. can i know how to stop the download of language pack ? Is it possible to download more languages? Like Dutch? Yes. Check your language settings. There you can choose other language packs (check if dutch is available). 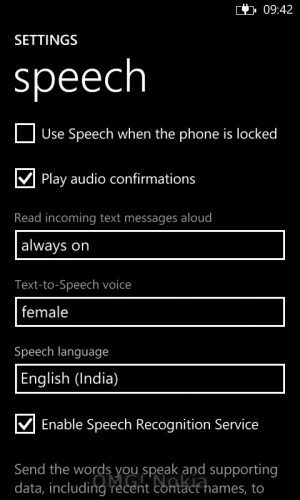 But only one speech language can be enabled at a time.